Mr. Lobo hosted the Cinema Insomnia Pajama Party Pledge Special for channel KTEH. The latest episode of Helena, Hussy of Horror has Helena out in the woods telling us about the movie Friday the 13th. Michael Chambers is a man stuck in an abandoned movie theater in Japan. Helped by his friend Miles, he broadcasts his ongoing plight along with movies as the The Cinemated Man. The Cinemated Man started in December of 2007 with a pilot episode giving the story of how he ended up where he is. Michael makes his shows available on his site cinematedman.com and continues to put up new episodes often. In all the shows he talks about the movies he shows, sometimes with guests, and occasionally blends the hosting parts into the theme of the movie. In honor of tonight's world premiere of the Count Gore De Vol documentary Every Other Day Is Halloween, here is a song about Count Gore by Bobogolem. 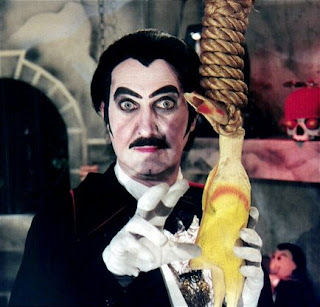 Bob MaCabre was the host of House of Horrors on WGGB Channel 40 in Springfield, Massachusetts from 1984 to 1985. 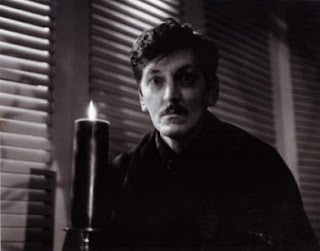 Bob MaCabre was played by Bob Austin, who passed away in May of 2009. Bob Austin was interviewed on the Nine Panel Nerds podcast in May of 2008. 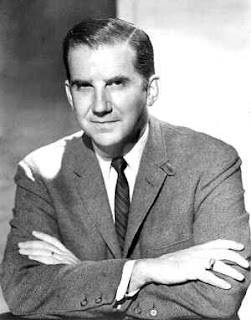 Ed McMahon hosted a horror movie show in Philadelphia, Pennsylvania in the 1950s before John Zacherle hosted his own show as Roland. He also appeared as the narrator in the 1955 horror movie Dementia, also known as Daughter of Horror. Ed passed away on June 23, 2009. 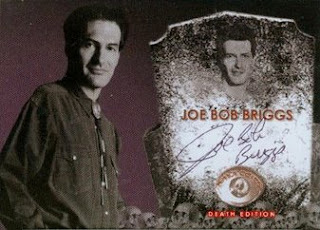 Joe Bob's Drive-In Theater and MonsterVision host Joe Bob Briggs is featured in an autographed trading card from Terror Cards XL's 2005/2006 set. He is the only horror host in the series that covers all areas and eras of horror movies. Fantastic Features host Sivad stars in this 1964 promotional video for potential advertisers of Memphis, Tennessee television station WHBQ-TV channel 13. In 2009, the band Ghoultown wrote a song in homage to horror host Elvira called Mistress Of The Dark. Elvira filmed a music video for the song with the group. Here are the Midnite Mausoleum episodes which conclude Marlena Midnite's presentation of the movie Drive In Massacre. 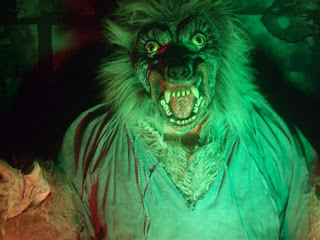 The May 29, 2009 episode of Nightmare Cinema has Wolfman hosting a New Three Stooges cartoon (The Littlest Martian), an episode of Suspense (All Hallow's Eve), a cartoon (Destination Earth), and the movie The Night America Trembled. 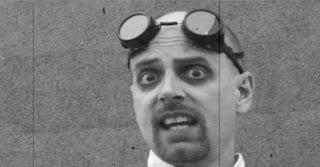 Chiller Cinema host Dr. Gangrene has recently filmed more of his award winning Go Green With Dr. Gangrene PSAs. 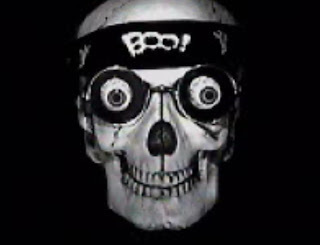 In this episode of BOO!, Clifford Graham hosts the movie Gammera The Invincible due to Dr. Head going on Spring Break. Watch the first five minutes of the show below. Follow the links in the video to watch the full episode. 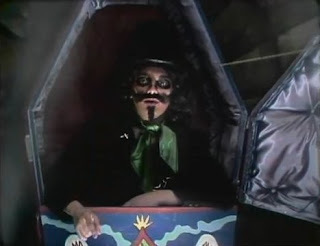 Chicago horror host Svengoolie, then known as Son of Svengoolie, aired his first show on June 16, 1979. 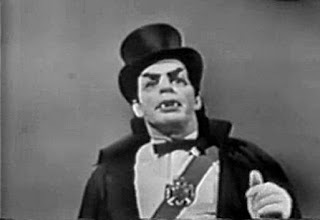 Acri Creature Feature, the Illinois area horror host show from the 1960s and 1970s hosted by Chuck Acri had a brief revival in 2005. These are the hosting segments from the first of the new shows which aired on KLJB-TV, where Chuck presented the movie The Devil Bat. 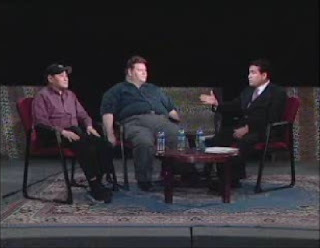 Chicago TV Horror Movie Shows: From Shock Theatre to Svengoolie authors Ted Okuda And Mark Yurkiw were interviewed by Frank Avila. They talk about horror host shows from Chicago as well as children's shows from the past. Midnite Mausoleum has just created their first promotional trading card featuring "your cuddly cadaver" Marlena Midnite. There are limited supplies of the card available in certain stores in Eastern Iowa and Western Illinois. Check out the Midnite Mausoleum MySpace page for specific details and other ways you can obtain a card. Episode 13 of Madame Mortem's Midway of Madness has her and Quoths the Raven presenting the movie Invasion of the Bee Girls. 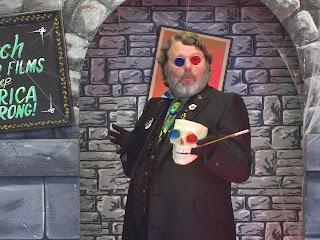 Recently, California horror host Doktor Goulfinger and his "unaltered ego" Michael Monahan from The Hip Crypt of Doktor Goulfinger were interviewed by The Caretaker at The Graveyard Show blog. 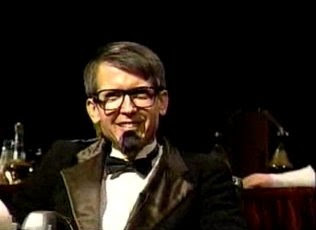 Here are the hosting segments from a 1984 episode of the Syracuse, New York show Monster Movie Matinee (also known as Chamber 13) in which Dr. E. Nick Witty and Epal presented the movie Tower of Terror. 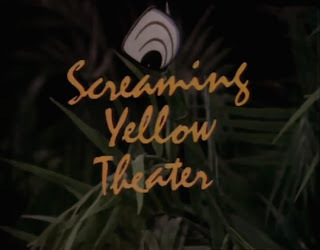 The theme song to the first Svengoolie's show, Screaming Yellow Theater, was called Rumble and was written by Link Wray. 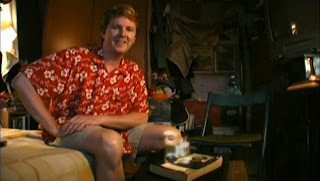 Weird Theatre was based out of Dallas, Texas and was hosted by Mr. Weird on DCTV in the early 2000s. 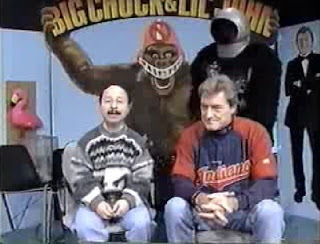 The March 15, 1996 edition of the Big Chuck and Lil' John Show had them hosting the movie Robot Monster. 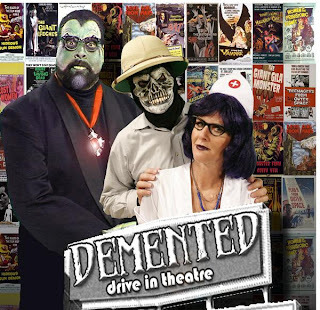 In her latest batch of Midnite Mausoleum episodes, Marlena Midnite hosts the movie Drive In Massacre. Helena, Hussy of Horror is a new monthly internet based horror host show staring Helena. In her short episodes, she shows select scenes from a movie and gives us her comments on them. Helena started out as an audition for the Miss Horrorfest contest and later was the on screen host for screenings of the movie Deadlands 2: Trapped. 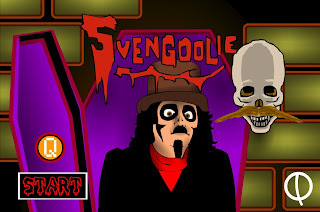 A Svengoolie video game has been created by StringAnime. In the game, Sven must defend himself from flying rubber chickens using a shield. 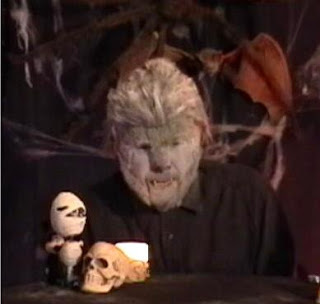 The Whitewolf Power Hour started in 2008 as a Halloween special in Austin, Texas. The regular series started in February 2009 where Whitewolf hosted horror and exploitation movies from the 1970s. Gary Dobson, who played Whitewolf and created the show, passed away on May 26, 2009. He had only completed five episodes of The Whitewolf Power Hour at the time of his death. 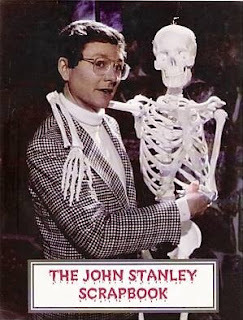 The John Stanley Scrapbook was published in 2001 and is a good overview of the second host of California's Creature Features show. Included in the book is an autobiography of John with his life story and information about his career. There are also articles about John and Creature Features that were printed during his run on the show. 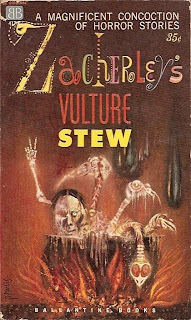 Insights into his books and his movie, Nightmare in Blood, are also provided by John, as well as his best and worst movie lists. 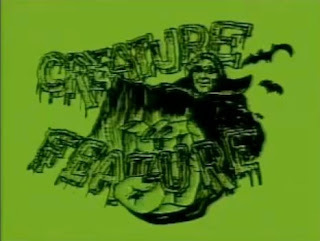 Ample space is given over to behind the scenes stories about about Creature Features, with details of the mini-movies he made for the show. The book is illustrated with many photos of guests and interviewees of John's, including Christopher Lee and Leonard Nimoy. The rest of the book is filled with old movie posters from films that influenced John and others that were a part of Creature Features, as well as press materials from the show.